Israel is facing down threats from Iran and their allies to the north, which offers an opportunity to emphasize something that has been true for decades: The Israeli-controlled Golan Heights region is key to Israeli security. On Sunday, Israeli Prime Minister Benjamin Netanyahu made just that point in comments with United States National Security Advisor John Bolton. He also made the logical next step by stating that the international community should accept Israel’s control of the strategic mountain region, which was taken in the 1967 defensive war from Syria. 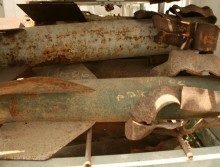 “The Golan Heights is tremendously important for our security. 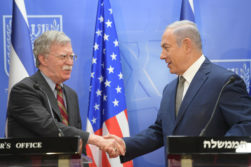 I think that when you’re there you will be able to understand perfectly why we will never leave the Golan Heights and why it’s important that all countries recognize Israel’s sovereignty over the Golan Heights,” said Netanyahu to Bolton in comments released by his office. While the United States is poised to withdraw 2,000 troops from Syria, that does not signal a shift in the Americans’ support for the defense of Israel or the US determination to oppose Iranian aggression in the Middle East. 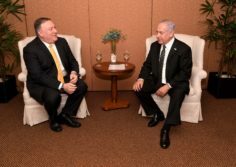 That was the message from US Secretary of State Mike Pompeo during a meeting with Israeli Prime Minister Benjamin Netanyahu on Tuesday. PM Netanyahu & the Security Cabinet in the north. Photo courtesy of Haim Zach (Israeli GPO). The removal of 2,000 United States soldiers from Syria may withdraw a key Israeli ally from the territory of their northern neighbor, but it won’t impact the Jewish State’s determination to prevent Iran from using Syria as a base to attack Israel. 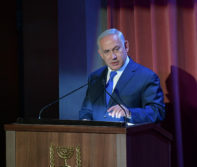 In fact, Prime Minister Benjamin Netanyahu warned on Sunday that Israel might even increase its anti-Iran efforts. 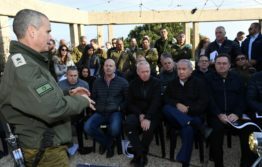 “The decision to withdraw 2,000 US troops from Syria will not change our consistent policy: We will continue to act against Iran’s attempts to entrench itself militarily in Syria, and to the extent necessary, we will even expand our actions there,” said Netanyahu in comments released by his office. Israeli President Reuven Rivlin had a stern warning to not just the Hezbollah terrorist group, but to the Lebanese government that tolerates them, against the backdrop of Hezbollah’s terror tunnels into Israel. “Hezbollah’s offensive tunnels into Israeli territory are a clear violation of Israeli sovereignty. 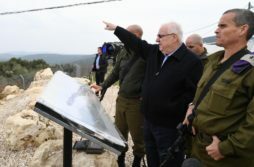 Hezbollah, which pretends to be the ‘shield of Lebanon’ will, in the end, lead to its destruction,” said Rivlin in comments to soldiers in the north on Sunday and published in an Israeli press release.